These winter themed wedding invites feature winter trees with snow. The trees look illuminated against the dark background. I like to imagine that the white speckles on the trees are the snow glistening in the light of the moon. The typography is white against the darker part of the starry night sky. The bride and groom names are in a script typeface. There are 4 suggested color options available for this design. The back of the invitations are white. Additional options for the back: starry night sky pattern, solid color, text and photos or photos only. Midnight – Deep navy background color. Moonlit Lake – Blue,gray background color. Solstice – Reddish brown, burgundy toned background color. Aurora – Black background color. Trim Options: There are a number of trim options for these invitations. These include rounded corners, bubble scallop edges, waved, classic or curved frames. A white envelope is included. Envelope options include speckle-tone kraft or silver envelopes. You can also order wrap around return address labels and envelope liners( gold, silver or night sky options). Your guest’s addresses can be printed directly onto the envelopes as well as your return address on the back flap. 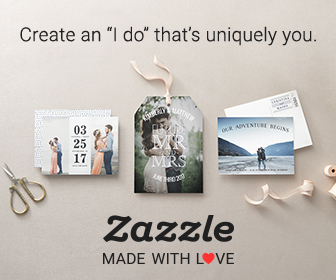 You can also purchase personalized postage stamps. 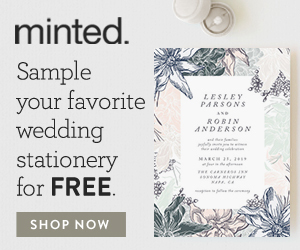 Directions cards, reception cards, RSVP cards, wedding favor stickers, wedding favor tags, ceremony programs, menus, table numbers, place cards and thank you cards.